Wow your clients with the Posh USB presentation box, one of our most popular packaging options—and for good reason! This box gives your clients a lasting, high quality impression and vibe that is compatible with all types of client personalities. 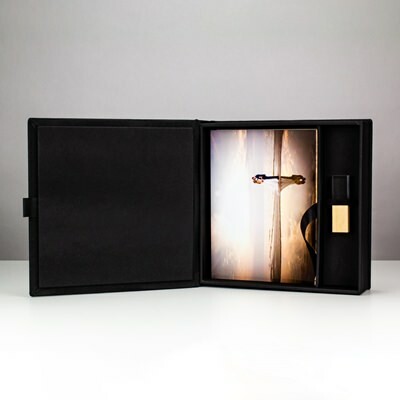 The Posh offers both photograph and USB drive (not included) storage and presentation in one beautiful, superior package. You and your clients will get a total package with the Posh. 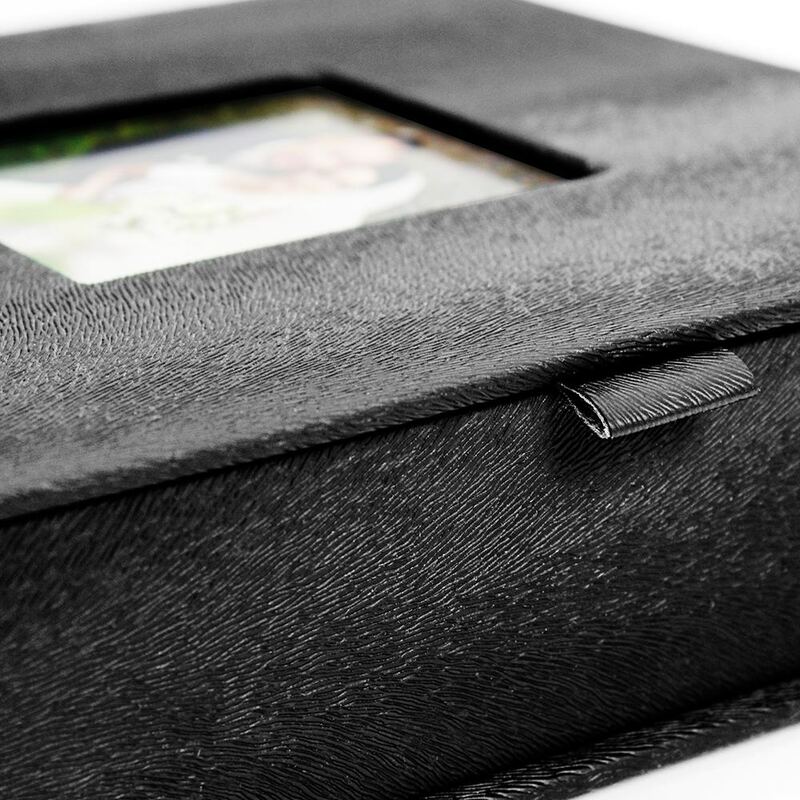 Made of luxurious, fine grained PU leather in a sultry black, this USB box for photographers offers space for both photographs and a USB drive. 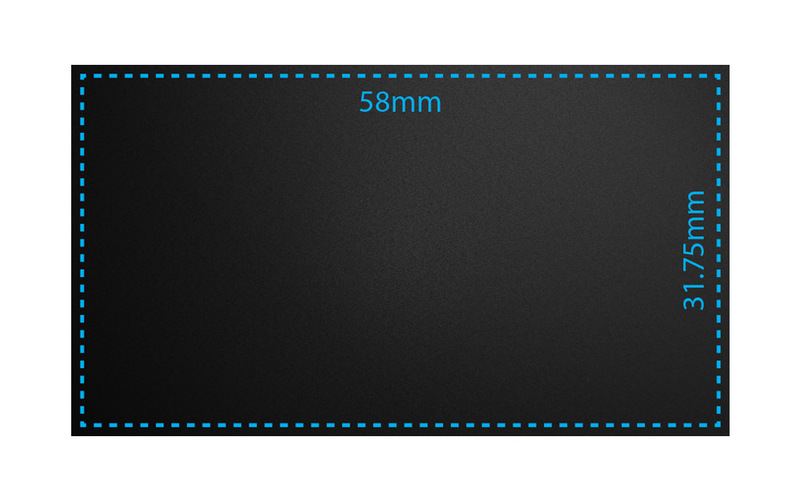 Store up to 150 5 x 7 photographs and one USB drive (not included) held with a black elastic band, each in their own proper compartment. 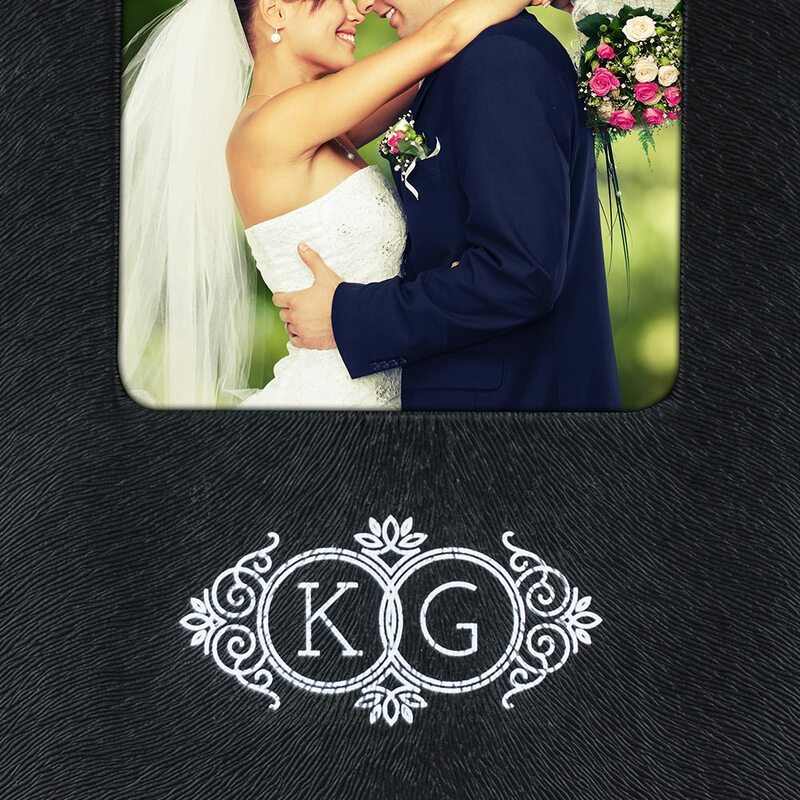 The heavy lid keeps images and data safe and secure but is easy to open with a fabric tab. 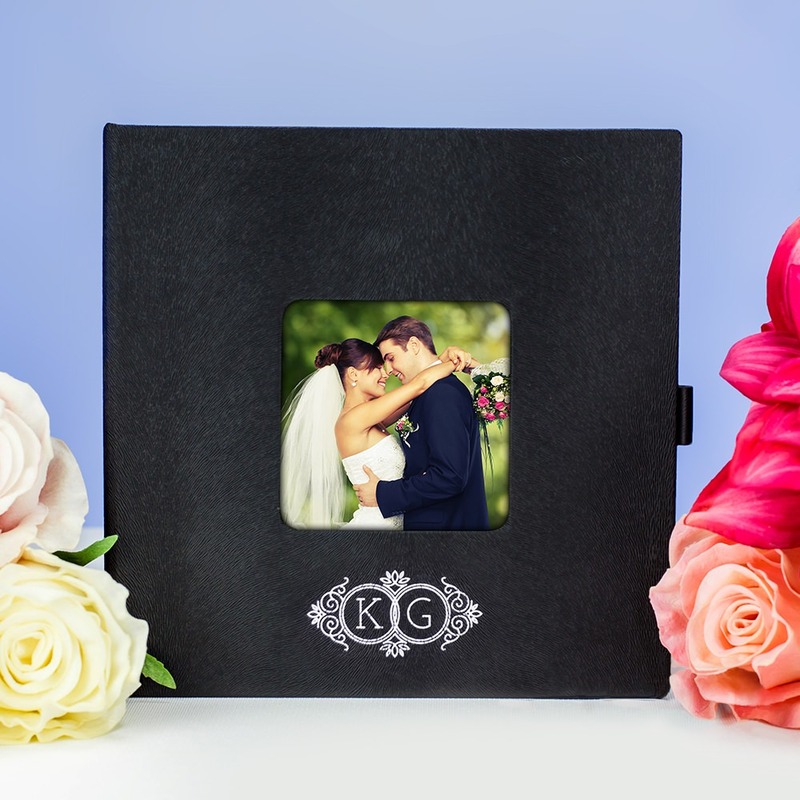 It also offers a special viewing window for your client’s favorite or best photo to really set the mood. This box also offers excellent print space for a logo, monogram, or custom artwork that our FREE 4-color printing will do justice.